Circa 1942-1944: To find striped Vintage Fiesta pottery is a great treat, most desirable in the red stripe on vintage ivory, the yellow with red stripe is also a fun addition and adds great flare and character to the vintage fiestaa ollection. 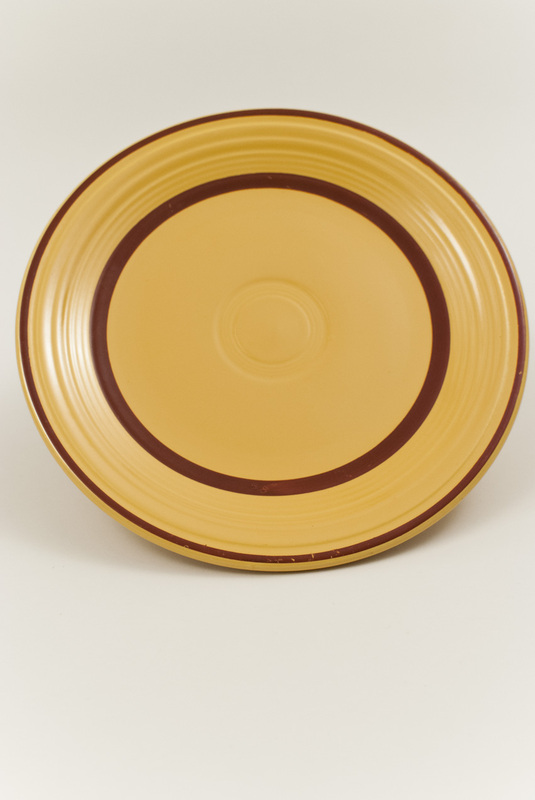 The red stripes were cold painted on after the piece was glazed (so there is no protection over the stripe, causing them to wear very easily). 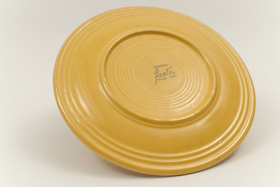 Finding them in fantastic condition, like this example, is rare. 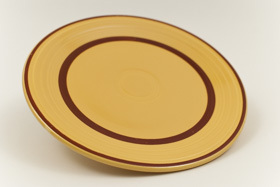 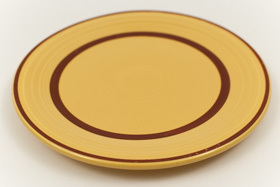 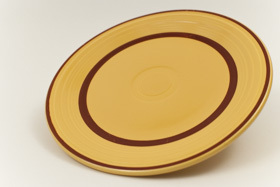 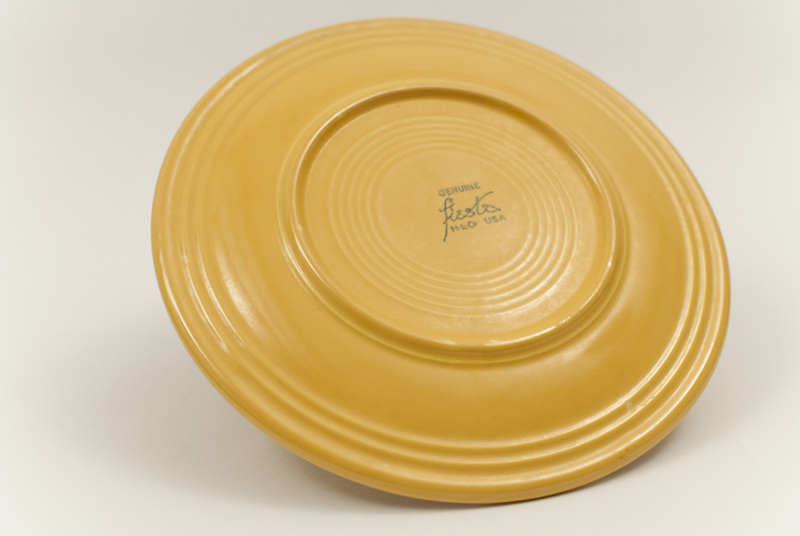 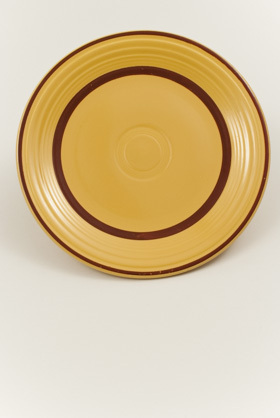 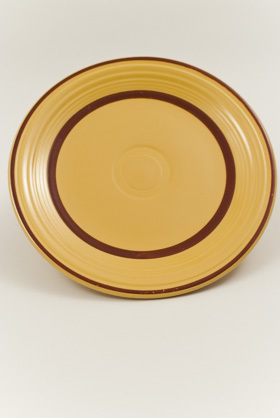 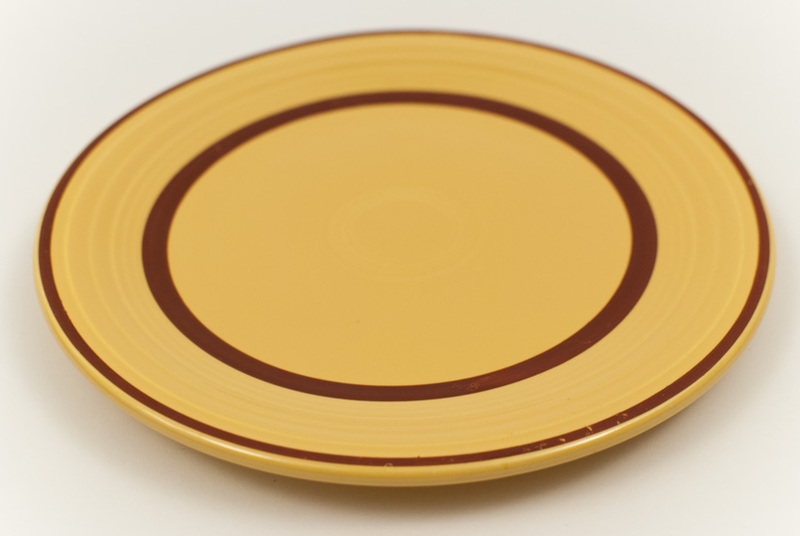 This fun yellow 9" plate, decorated with two cold-painted red stripes and stamped on the back "GENUINE fiesta HLCo USA" is in excellent condition with only minor age on the front surface.